This page is about the German jet fighter CL-13B Mk.6. For other uses, see F-86 (Family). 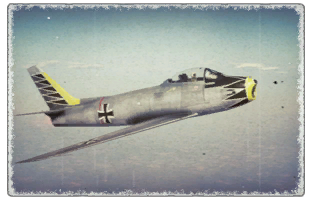 The CL-13B Sabre Mk.6 is a Rank VI German jet fighter with a battle rating of 9.3 (AB/RB/SB). 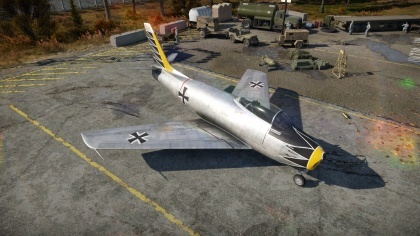 It was introduced in Update 1.87 "Locked On". 2 x AIM-9B Sidewinder infrared-guided missiles. This page was last edited on 23 March 2019, at 00:51.